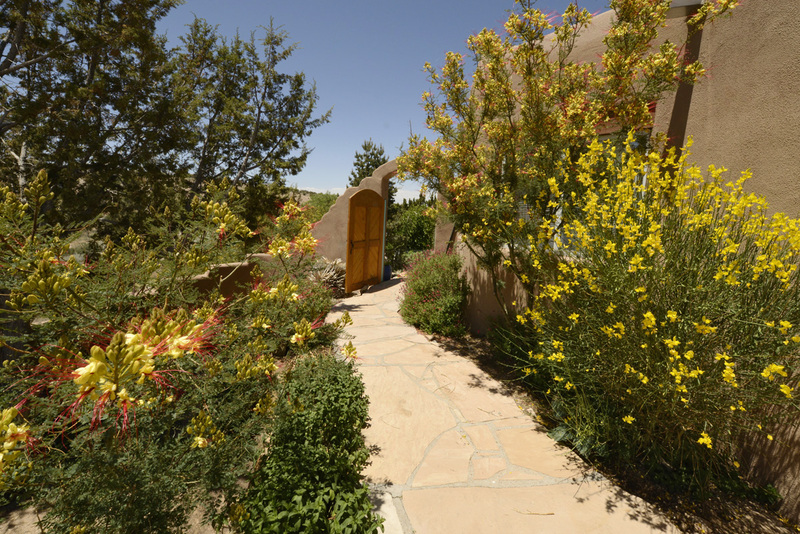 For a preview of some of the 2019 Gardens please click on “Gardens.” These gardens will be at their late summer peak by September 8 against the backdrop of the start of the surrounding mountain fall color season in Placitas. 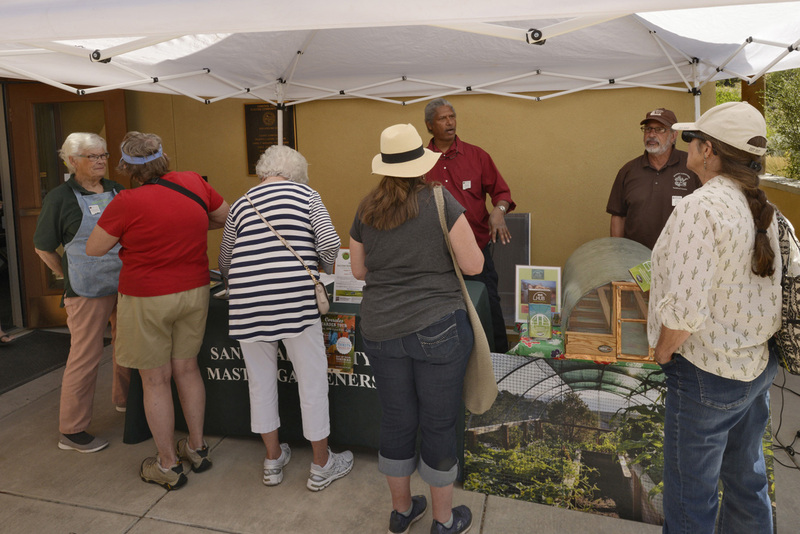 We are currently selling business and organization ads for print in the 2019 Placitas Garden Tour booklet through April 19, 2019. If you are interested in participating as a 2019 ad sponsor, please contact us. Click here to download the 2019 Advertising Specifications document. Tickets will go on sale to the public on August, 1, 2019. 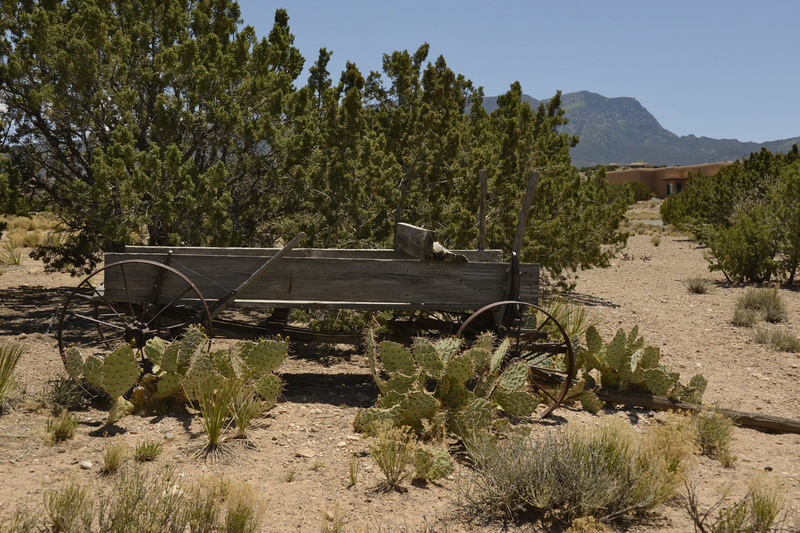 Please refer to this web site for future updates and information on the Sunday September 8, 2019 tour. 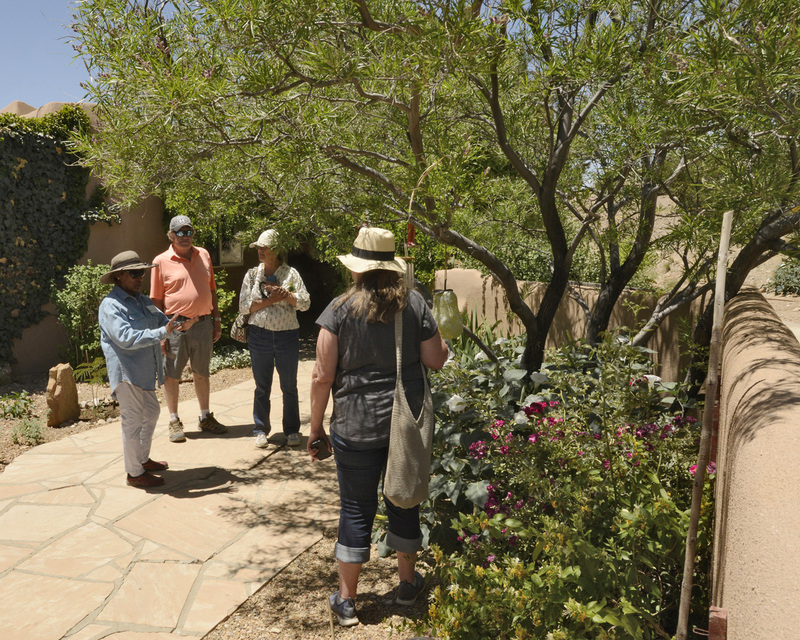 The third annual Placitas Garden Tour on May 19th, 2018 was a success. 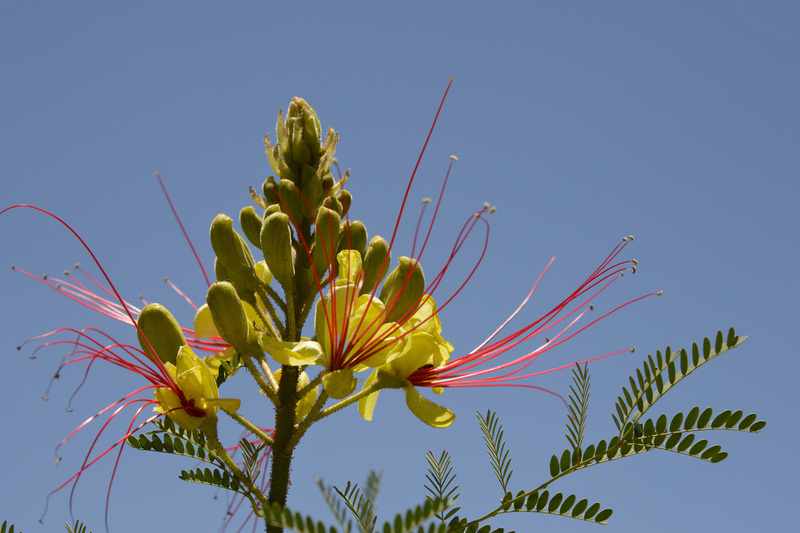 The day of the tour had nearly perfect weather with sunny skies, temperatures in the low-eighties, and light breezes. 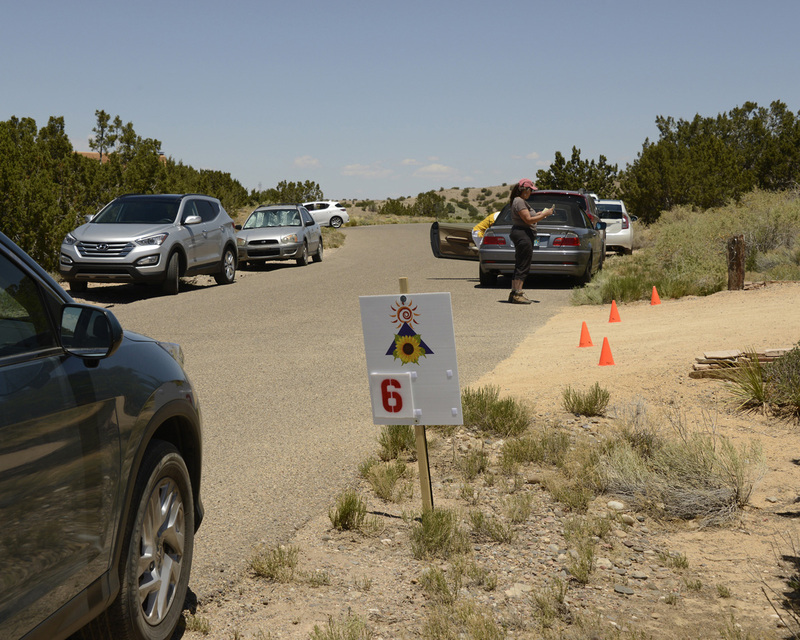 The six tour gardens were spread-out along Highway 165 spanning a distance from the Las Placitas Presbyterian Church in the village on the east to Anasazi Meadows on the west. 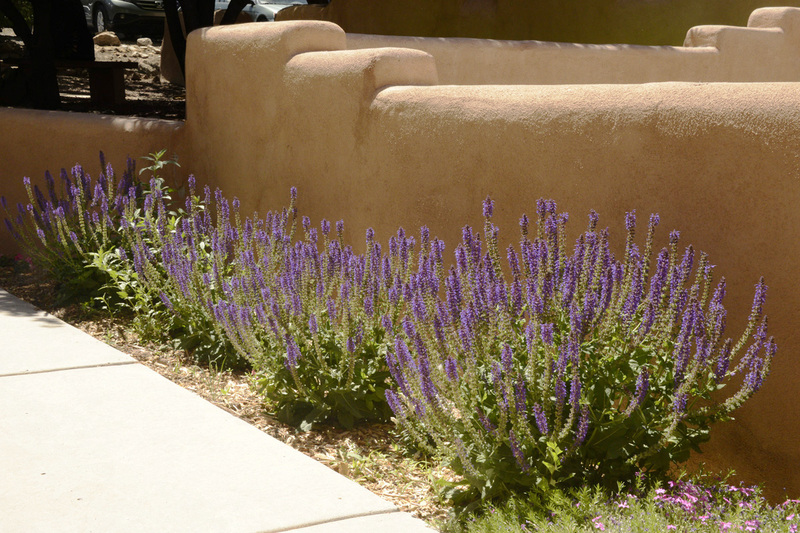 The tour gardens showcased a variety of residential landscapes along with the Memorial Garden at the church. 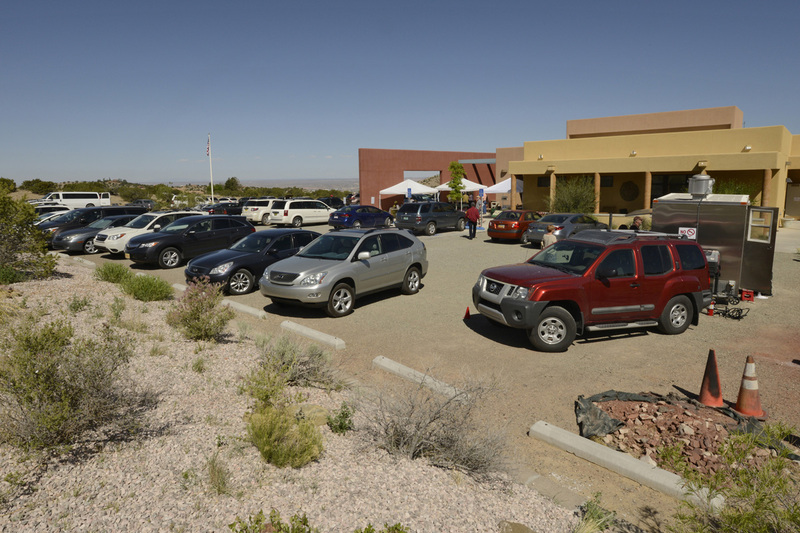 The Placitas Community Library served as a hub for garden activities, with ticket sales, educational exhibits, a day lily sale, the free shuttle to Garden #2 and the Plein Air Art Gallery at that location. 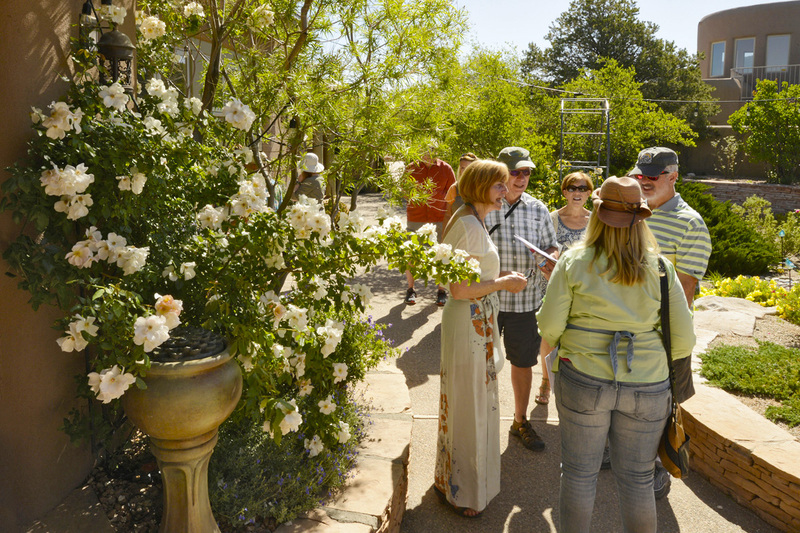 Several hundred tour guests visited each of the gardens this year and about one hundred volunteers participated in the tour helping to guide the guests and answer questions. 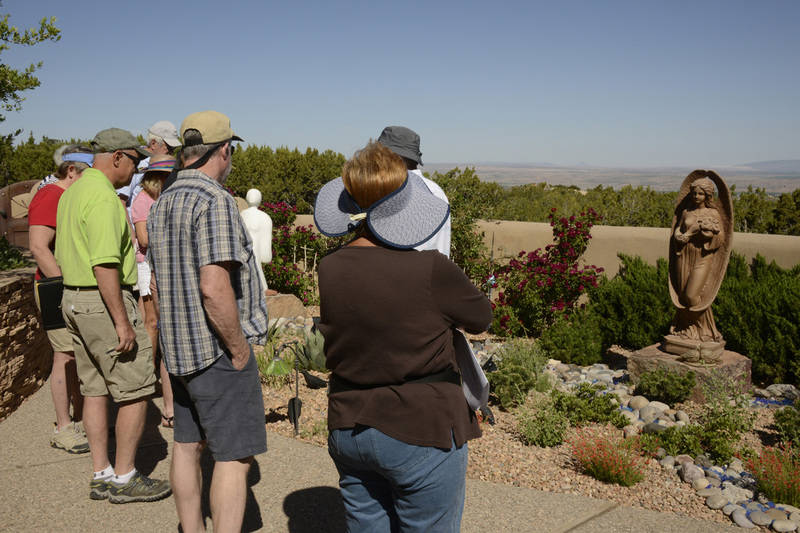 Tour guests came from all over the central part of the state. 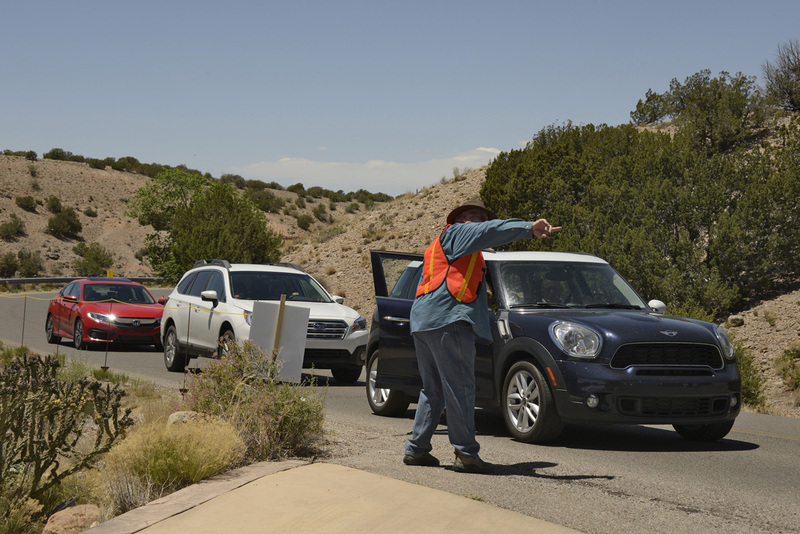 In addition to Placitas residents, many people visited from Albuquerque, Santa Fe and Rio Rancho. 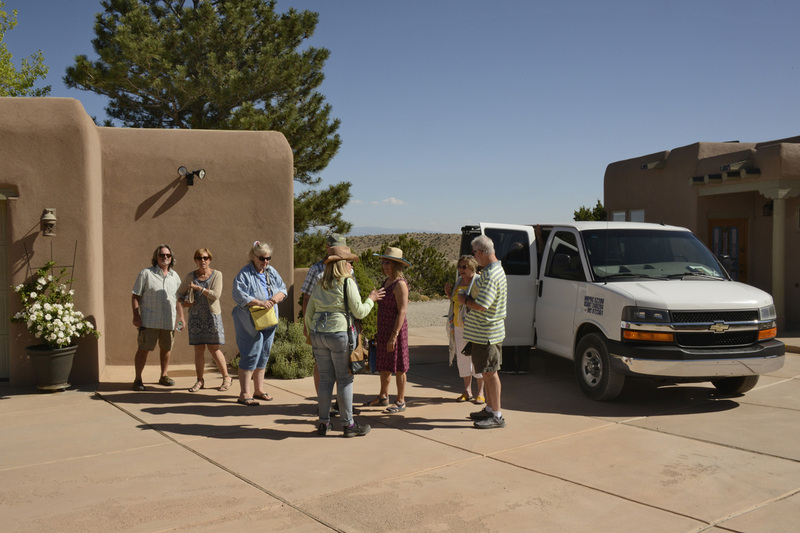 Placitas Garden Tour representatives received positive comments from many guests on how much they enjoyed their visit to Placitas. 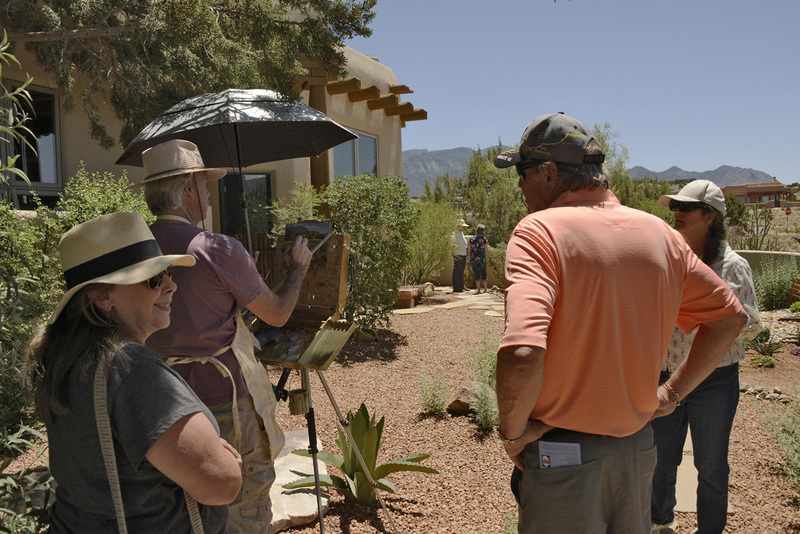 Each garden in the 2018 Placitas Garden Tour featured a Plein Air artist painting on site. 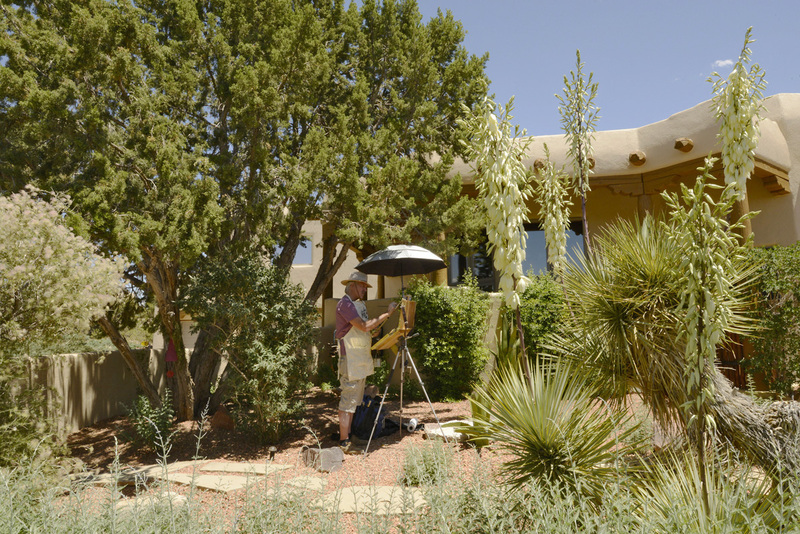 “Plein Air” is a French term for painting scenes on location in open air. 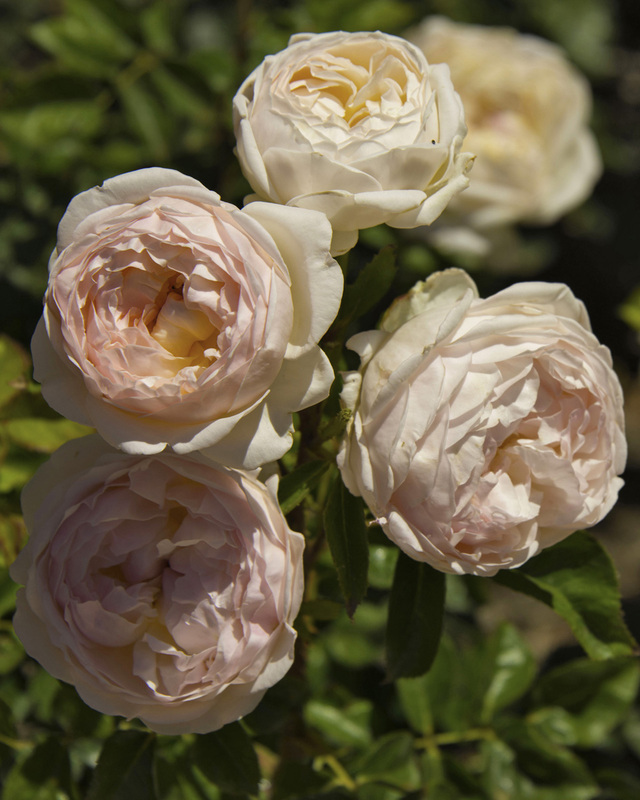 The artists used paints or pastels to transform the garden into a lasting image that tells the story of how the garden was lovingly created and nurtured. 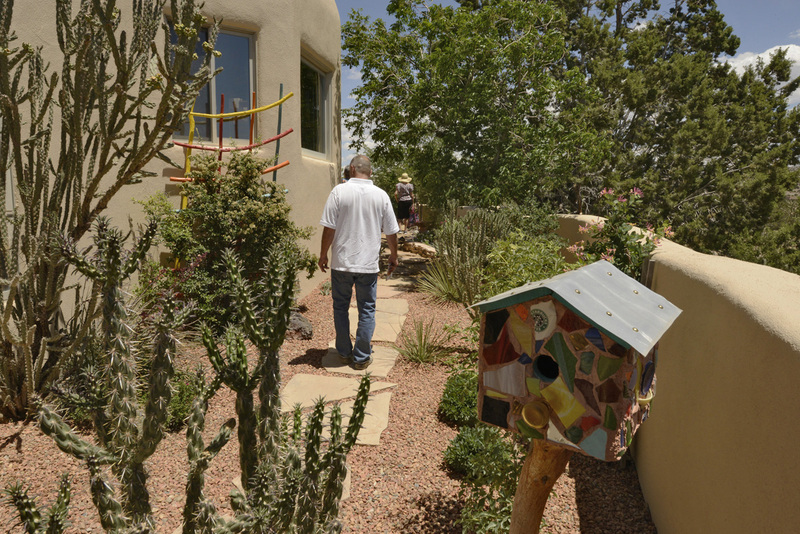 The completed paintings were on display at the Placitas Community Library the day of the Garden Tour. 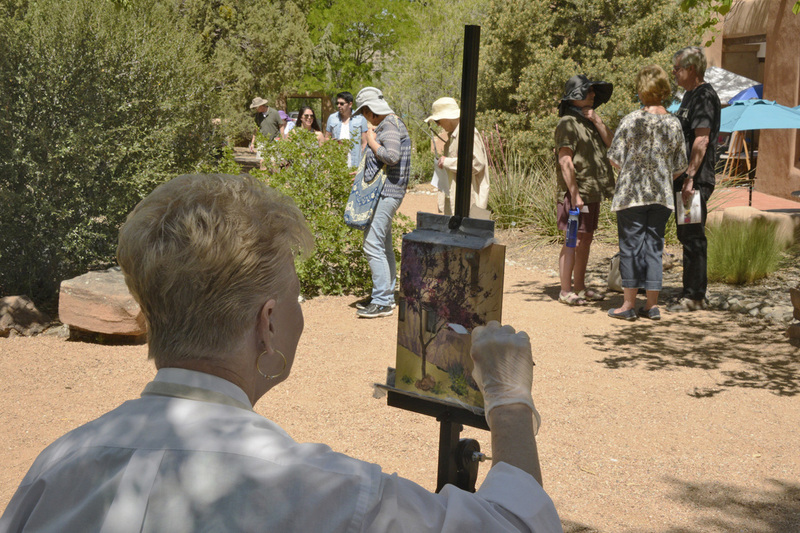 Many of the paintings were purchased by the garden owners and tour guests. 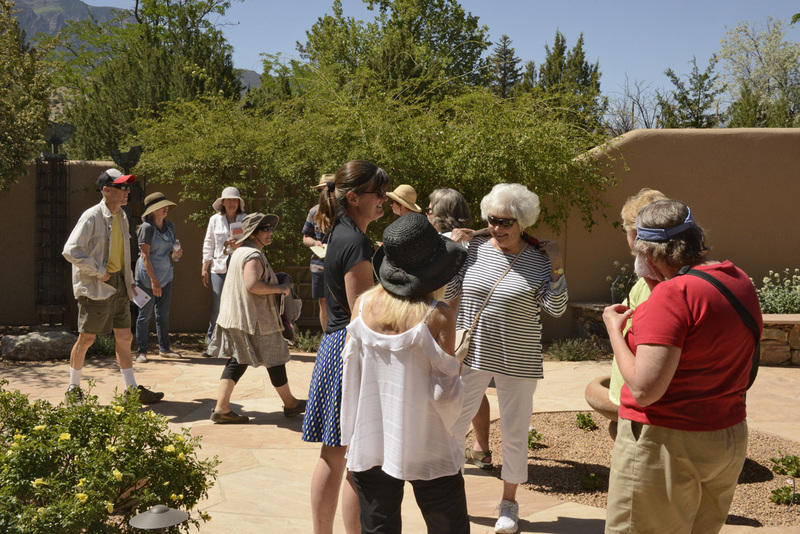 The Placitas Garden Tour committee would like to thank all of the garden owners, advertisers and volunteers who helped to make the 2018 tour a success. 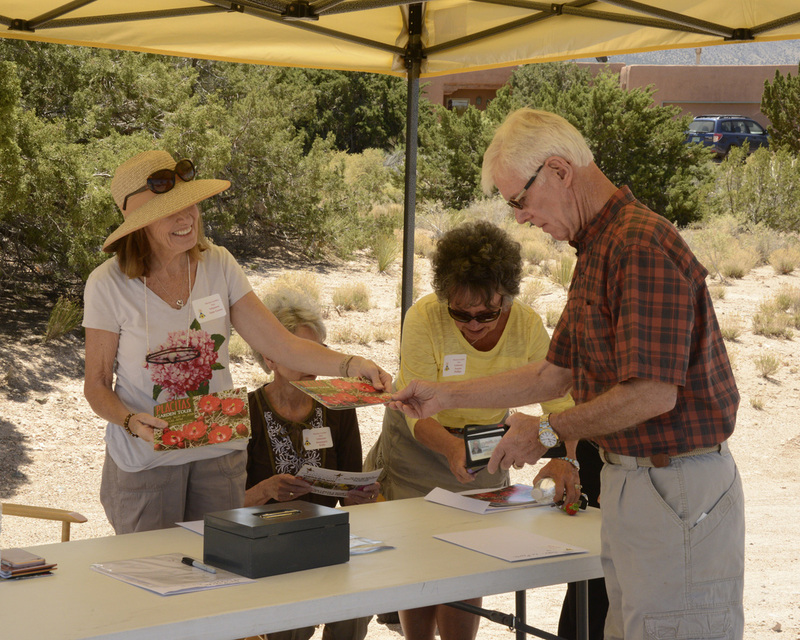 We would also like to thank our participating volunteer organizations: The Sandoval County Master Gardeners and the Placitas Community Library. 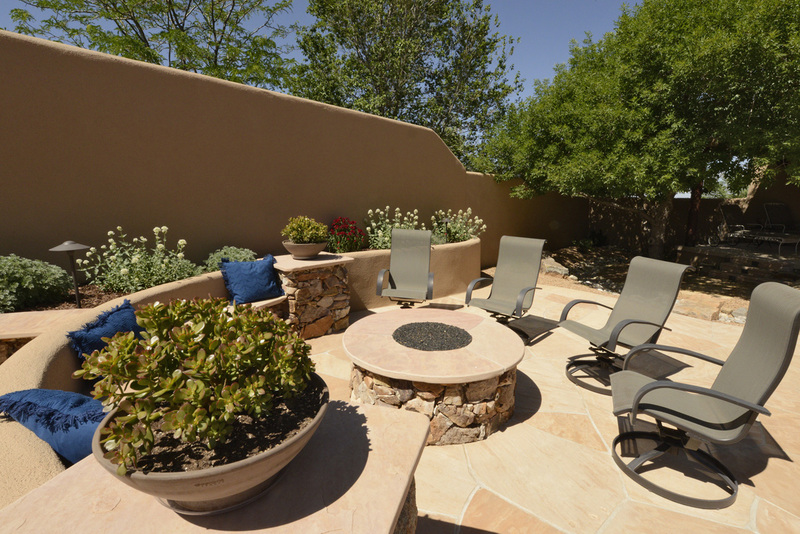 Planning for the 2019 Placitas Garden Tour has already begun. 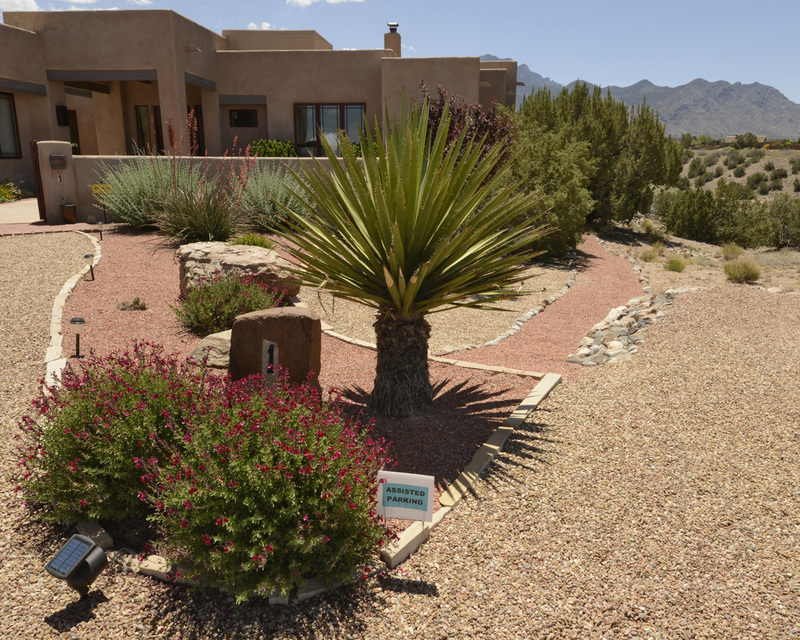 If you are a garden owner in Placitas and would like to be considered for participation in the 2019 or 2020 Placitas Garden Tour please contact us.